Leading Israeli exporter of potatoes is offering a unique opportunity to purchase very large amounts of frozen french fries for less than half of the wholesale price! 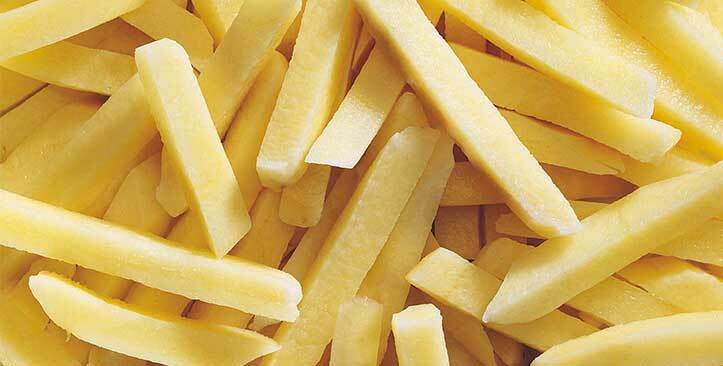 The French Fries are produced from fresh (stored) potatoes of a pre-graded regular size (40+). The potatoes are steam-peeled, then hydro-cut to straight strings or mechanically cut to crinkle strings, after that the product is blanched in hot water, briefly dried, pre-fried, cooled, quickly frozen to -18°C, temporarily stored in bulk.